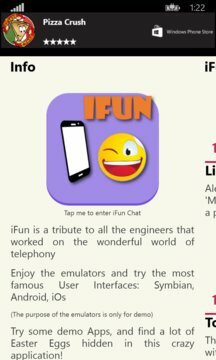 iFun is a tribute to all the engineers that worked on the wonderful world of telephony. 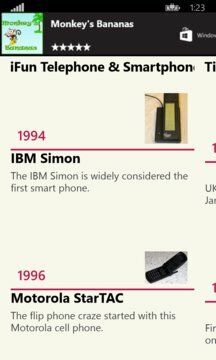 Enjoy the emulators and try the most famous User Interfaces: Symbian, Android, iOs (The purpose of the emulators is only for demo). Try some demo Apps, and find a lot of Easter Eggs hidden in this crazy application!